this is a very cute wallpaper! i love how Azu-nyan is the center of attraction. Azu-nyan is so cute, I just wanna hug her, good job on the wallpaper! haha so cute! thanks 4 sharing! Moe Moe Kyun~ AzusA! Rove IT! 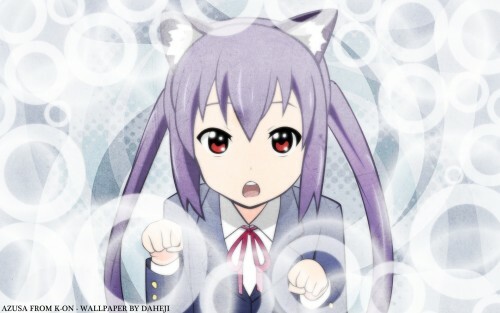 kyaaa azu-nyan so cute cute cute! Oh Azu-nya so cute *. * thanks for sharing.